Yesterday was a gorgeous sunny warm day, when I made my way towards the Southbank Centre, near Waterloo station on London. All the action at the Southbank Centre kicked off at about 10.30 that morning but as my tickets were for the 4.30 talk, I had foyer access from 4.00-6.30. Once inside there were lots of different activities laid out on the first floor, including a Kerastase styling area- offering complimentary hairstyling (you got to choose between five classic french styles) and make up consultations with Burberry’s beauty stylists. They also had a fabulous ‘show and tell’ opportunity, where you could bring your own designs to the festival and meet with Vogue editors to receive personal advice about your product. I had a quick look around the various activities before queuing to go in to the talk. 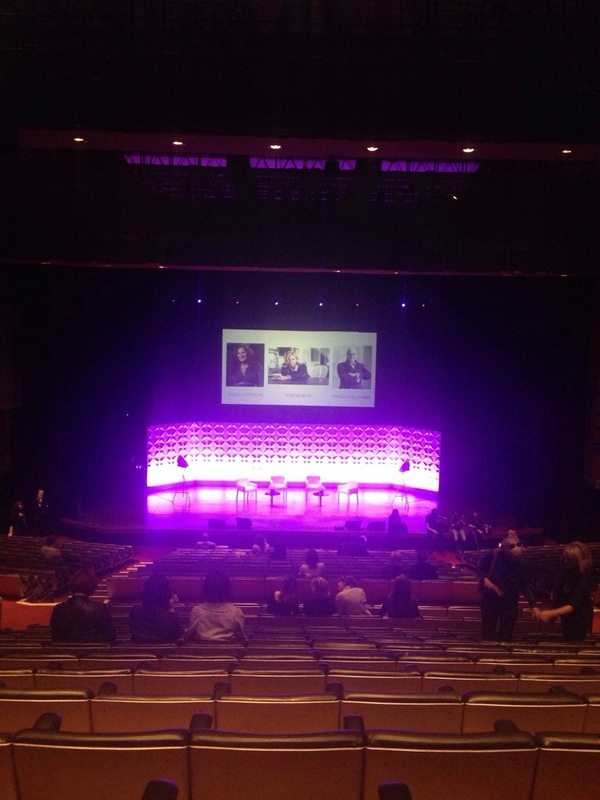 I booked my ticket quite late, and it was a sold out talk, so my seat was pretty far back- but it was still amazing! I’ll definitely be more prepared next year and book earlier. 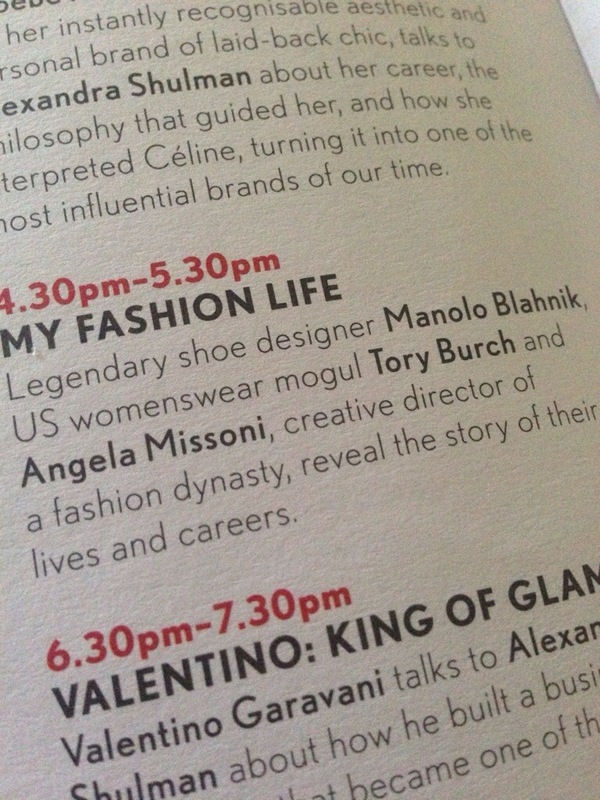 On the ‘My Fashion Life’ panel we had Tory Burch, Angela Missoni and of course my icon (and I confess, my main attraction!) Manolo Blahnik! First up was Tory Burch, someone who I confess I didn’t know much about before yesterday. Tory worked in marketing for years, before launching her own brand and opened her first boutique in New York in 2004. She set out to create a ‘lifestyle brand’ and I have to say she came across as a engaging and inspiration woman. She talked about juggling her home life (3 sons and 3 step daughters!) with her business. She said that she takes them to school in the morning, and is home by 7 most days. I love that. Something I debate with myself quite frequently is whether it is possible to ‘have it all’- in my eyes that is both a fulfilling career and a child. I also love that she started out working in marketing (I work in this area) and still managed to achieve her dreams. Inspirational. The first Tory Burch store opened in London in 2011 and it’s definitely on my radar to pay them a visit soon. Next up we had Angela Missoni, daughter of one of Italy’s most famous fashion dynasties. She talked about her upbringing, the wonderful home life in contrast to the glamour of the industry (she met Manolo when she was 10!) Angela Missoni came across as down to earth and committed to her family and their brand. I loved that she brought her mum with her (she was in the audience!). Her own daughters are now involved in the business and she was passionate about developing the company further. Her runway debut in 1997 signified a rejuvenation of the brand and their iconic print. Last, but by no means least, the legend that is Manolo Blahnik. 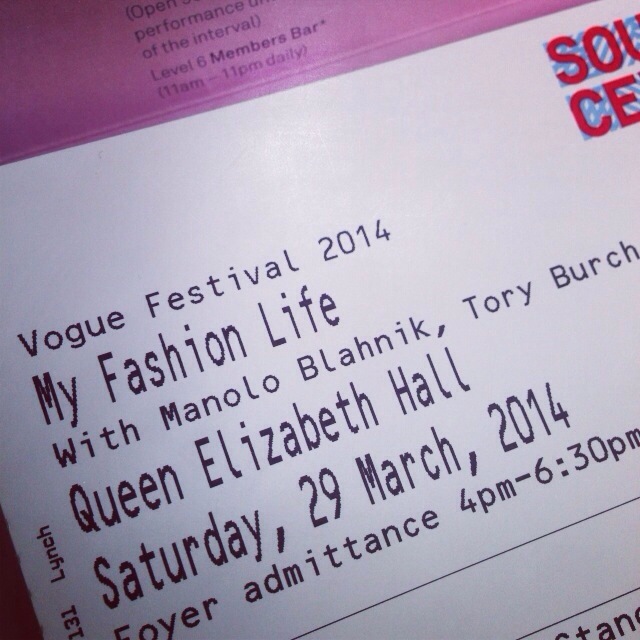 Manolo was fabulous, so witty! He talked about growing up on the Canary Islands, where he used to make shoes for the lizards (luckiest lizards ever!). He studied law but decided he didn’t want to be a lawyer but instead a set designer. It was while doing this that he was told not to bother- and to concentrate on shoes instead! He talked about how he prefers to work alone than with a team (something I can totally relate to!) and how he himself has a part in all areas on the design and production of his shoes (“except for the sizing… I don’t like numbers”) Manolo was one of the first men ever to appear on the cover of UK Vogue, and was awarded a CBE in 2007. He won the British Fashion Council Outstanding Achievement Award in 2012 and in his 40 year career is widely considered to be one of if not the most successful and influential designers. Yet he was so down to earth and talked about his home in Bath and his latest addiction- Netflix! I love that. They always say that you should never meet your heroes, that they might disappoint, but I have to say- I was so impressed, and inspired by Manolo, and I’m so glad I went to see him. After the talk I headed out to to the foyer, and went to pick up a souvenir at the Vogue Shop. More about that, and the rest of my day, in the next post! 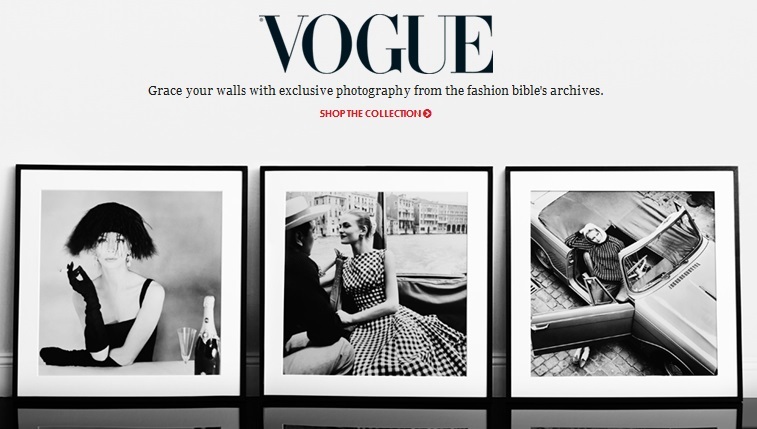 Iconic Vogue Cover Prints Go On Sale! I cannot be the only one who envisages a dressing room where Vogue covers line the walls right? Well that dream is one step closer with the news that Condé Nast has teamed up with easyart.com, a British art print company, to offer Vogue lovers the chance to buy from 60 pieces of their vintage photography from the 40s, 50s and 60s. With prices starting at just £24.95 these prints are sure to fly off the shelves! It’s also been dangerous for my bank balance as I’ve just spotted that easyart also offer Andy Warhol and adorable Penguin books prints! Whats your favourite print on the site?